Ubuntu 12.04 LTS has just been released. It is one of the most anticipated Ubuntu release ever. We will be doing a comprehensive review of Ubuntu 12.04 "Precise Pangolin" very soon. Anyway, here is how you can easily upgrade to latest Ubuntu 12.04 from Ubuntu 11.10 and earlier version of Ubuntu including Ubuntu 10.04 LTS and Ubuntu 11.04. 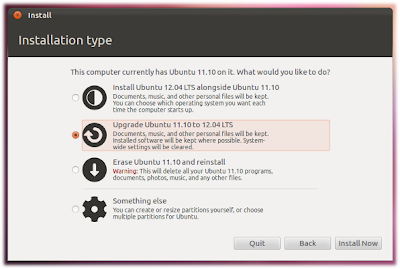 How to Upgrade to Ubuntu 12.04 from Ubuntu 11.10? This is the the easiest and less time consuming of the two, provided you have the downloaded Live ISO of Ubuntu 12.04 LTS. All you have to do is to burn it to a CD or USB and start the Ubuntu 12.04 installation process after booting from it. 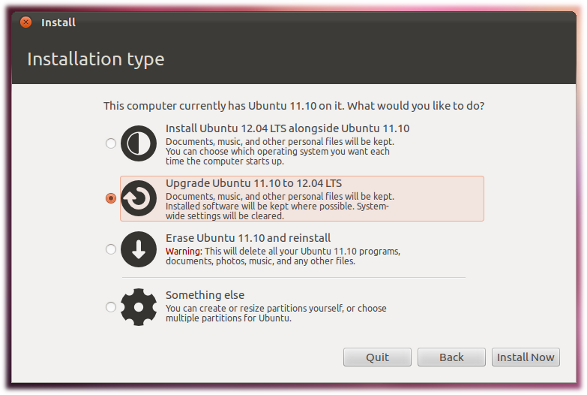 As you can see, Ubuntu installer has automatically detected that Ubuntu 11.10 "Oneiric Ocelot" has been already installed in my laptop and the second option in that menu is for directly upgrading Ubuntu 11.10 to Ubuntu 12.04 LTS "Precise Pangolin". While in Ubuntu 11.10, launch the update manager and start checking for updates. If there are any updates to install, use the Install Updates button to install them, and press Check again after that is complete. Then, you will be prompted with the following window. 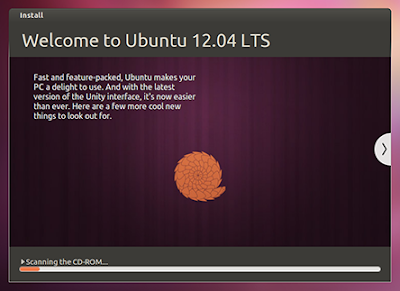 Hit Upgrade button and begin downloading required packages for upgrading to Ubuntu 12.04 LTS. This might consume a lot of time (depending on your bandwidth speeds). 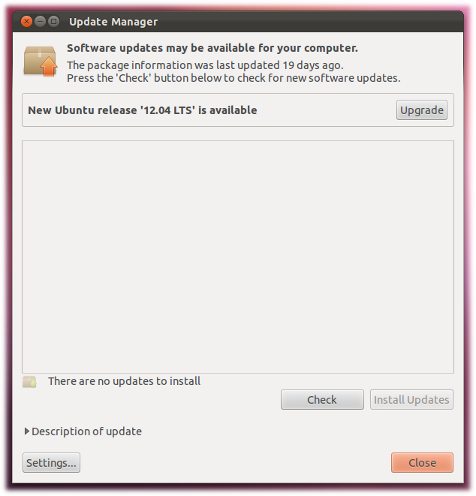 How to Upgrade to Ubuntu 12.04 LTS from Ubuntu 10.04 LTS? According to Ubuntu Engineering team, "Upgrades between LTS releases are not enabled by default until the first point release, 12.04.1, scheduled for July. It is recommended that most LTS users wait until then before upgrading to 12.04." More info here. But if you insist on upgrading to Ubuntu 12.04 LTS from Ubuntu 10.04 LTS, this is what you need to do. Hit ALT+F2 and run "update-manager -d" (without quotes). Update manager will open up and you will be prompted with the "New release available" option.